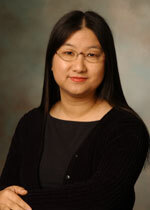 Dr. Fei Guo is a Professor of Demography in the Department of Marketing and Management at Macquarie University. She received her Ph.D. from the University of Hawaii in 1996 and was awarded an Andrew W. Mellon Post-Doctoral Fellowship to conduct research at the Australian National University (ANU). She has also held academic position at the University of Wollongong. Her main research interests range from skilled migration, return migration and student migration in the Asia Pacific region to internal migration and migrant communities in contemporary China. Her other research areas include the impacts of demographic changes on residential housing markets and labour market performance of migrant groups in Australia. She is also interested in the areas of internationalisation of highly skilled professionals and the localisation of workforce in international corporations. Since joining Macquarie University in 2002, Dr. Guo's research has been supported by a large grant from the Ford Foundation to study migration and urban poverty in China, a Discovery Project grant from the Australian Research Council (ARC) to study rural migrant labour in large Chinese cities, and a Macquarie Enterprises Partnership research grant to study demographic changes and residential housing markets in Australia. She has widely published in such journals as International Migration Review, Asian and Pacific Migration Review, Habitat International, China Perspectives, and Journal of Asian Public Policy. Recently she guest-edited a special issue "New Developments in Australia's Skilled Migration Flows" (with Tani and Hugo) for the Asian and Pacific Migration Review. Her co-edited books on return migration in the Asia Pacific and China's demographic transition were published by Edward Elgar Publishing and the Oxford University Press. She is currently an Associate Editor of International Migration Review, a high impact academic journal published by the Center for Migration Studies (CMS) of New York. 2017-2020, Australian Research Council Discovery Project grant ($544,500) “Transnationalism & Diaspora: Contributions to Migration & Development” (Chief Investigators: Yan Tan, Andrew Rosser, Fei Guo and Brenda Yeoh). 2016, Macquarie University Strategic Infrastructure Scheme grant ($150,000) "Web-based Analytical Platform Hosting China's Labour Market, Migration, Household and Demographic Dynamics Survey Datasets"(CIs: Fei Guo and Zhiming Cheng). 2011-2012, Macquarie Enterprise Partnership Research Grant ($64,400) to study "The impacts of demographic changes on residential housing markets in Australia" (with co-chief investigator Professor Lucy Taksa and the industry partner RESIMAC). 2007-2009, ARC-Discovery Project Grant ($237,000) to carry out a multi-city study in China entitled "Migrant Labour in Large Chinese Cities" (with Prof. G. Hugo, Uni. of Adelaide and Prof. Yuan X. Nankai University). This project investigates the nature of labour migration in China and its drivers by linking labour market segmentation to uneven demographic changes. It examines the urban sectors that are most dependent on migrants in four large cities and the implications for policy on internal migration in China. 2006-2007, Macquarie University Research Development Grant ($28,150) to carry out "Migrant Labour in Large Chinese Cities – A Pilot Study". 2003-2005, a research grant from the Ford Foundation to study "Shantytowns in Chinese cities: a five-city study of migration and urban poverty"($119,000) (with Prof. Cai Fang, Chinese Academy of Social Sciences). This project investigates the social structure of shantytown communities in Chinese cities, community governance, connection/disconnection with local society, and settlement and livelihoods of the residents in the shantytowns. The results from the project provide insights into the new features of social stratification in contemporary Chinese society. 1997 Andrew W. Mellon Postdoctoral Fellowship, Australian National University. 1996 Pre-doctoral Fellowship, Population Council, New York. Zhou, Jiang, Ying Wang, Fei Guo and Paul Gollan (2017) Vocational Experiences and Quality of Life of Migrants: Overview and Future Research, Social Indicators Research, DOI: 10.1007/s11205-017-1727-9. Huang, Yeqing, Fei Guo and Zhiming Cheng (2017) “Market Mechanisms and Migrants' Intention to Stay in Urban China. Asian Population Studies, DOI: 10.1080/17441730.2017.1347348. Chen, Junhua, Ying Wu, Fei Guo and Hao Wang (2016) “Domestic Property and Housing Class in Contemporary Urban China”, Journal of Housing and the Built Environment, DOI: 10.1007/s10901-017-9545-6. Huang, Yeqing and Fei Guo (2016) Welfare Programme Participation and the Wellbeing of Non-local Rural Migrants in Metropolitan China: A Social Exclusion Perspective, Social Indicators Research, DOI 10.1007/s11205-016-1329-y. Wang, H.N., Guo, F. and Cheng, Z.M. (2015) "Discrimination in Migrant Workers' Welfare Entitlements and Benefits in Urban Labour Market: Findings from a Four-City Study in China", Population, Space and Place, 21(2), 124-139. DOI: 10.1002/psp.1810. Cheng, Z., R. Smyth and F. Guo (2014) "The impact of China's new Labour Contract Law on socioeconomic outcomes for migrant and urban workers", Human Relations, Vol 68 (3) 329-352. Wang, H., F. Guo and Z. Cheng (2014) "A Distributional Analysis of Wage Discrimination against Migrant Workers in China's Urban Labour Market", Urban Studies, Vol. 52 (13) 2383-2403. De Lombaerde, P., Guo, F., & Neto, H. (2014). "South-South migrations : what is (still) on the research agenda?" International Migration Review, 48 (1), 103-112. Guo, F. and Zhang, Z.X. (2013), One Decade of the Reform of Social Insurance and Social Protection Policies for Migrants: Evidence from Four Major Cities in China, Renkou Yanjiu (Population Research). Cheng, Z.M., Guo, F., Hugo, G. and Yuan, X. (2013),Employment and Wage Discrimination in the Chinese Cities: A Comparative Study of Migrants and Locals, Habitat International, vol. 39, pp246-255. Guo, F. and Zhang, Z. (2012) "The Urban Labour Market Status of China's Floating Population: A three-group approach", Renkou Yanjiu (Population Research), vol. 36, no. 1, pp3-14. Chen, J. and F. Guo (2011) "Chinese Urbanization and Urban Housing Growth since the mid-1990s", Journal of Housing and the Built Environment, Vol. 26, no. 2, pp. 219-232(14). Chen, J., F. Guo, and Y. Wu (2011) "One Decade of Urban Housing Reform in China: Urban housing price dynamics and the role of migration and urbanization, 1995-2005", Habitat International, vol. 35, pp1-8. Guo, F. (2010) "Demographic Structure and International Student Mobility: an Investigation of Chinese Students in Australia", Asian and Pacific Migration Journal, Vol. 19, no. 1, pp143-156. Guo F. and Z. Cheng (2010) Labour Market Disparity, Poverty and Inequality in Urban China", China Perspectives, vol. 4, pp16-30. Chen, J. and F. Guo (2010) "Accommodating Migrants in the Post-Reform Urban China: The Perspective of the Chinese Hukou System", International Journal of Interdisciplinary Social Sciences, Vol. 5, Issue 2, pp173-188. Huang, Y., F..Guo and Y. Tang (2010) "Hukou status and social exclusion of rural-urban migrants in transitional China", Journal of Asian Public Policy, Vol. 3, No. 2, pp172-185. Guo, F. (2007), "Fertility Behaviours of rural-urban migrants in China", Asian and Pacific Migration Journal, vol. 16, no. 1. Parr, N. and F. Guo (2005), "Occupational concentration and mobility of Asian immigrants in Australia", Asian and Pacific Migration Journal, vol. 14., no. 3. Guo, F . (2004) "A rural migrant community in urban Beijing ", Social Sciences Volume on Urban Sustainability, The Encyclopedia of Life Support Systems, EOLSS Publishers, UNESCO. Guo, F . and Iredale, R. (2004) "The impacts of Hukou status on migrants' employment: findings from the 1997 Beijing Migrant Census" International Migration Review, vol. 38, no. 2. Guo, F. (2002) "School attendance of migrant children in Beijing, China: a multivariate analysis," Asian and Pacific Migration Journal Vo. 11. No.3. Lai, D, F. Guo, and Hardy, R. (2000), "Standardized mortality ratio and life expectancy: a comparative study of the Chinese mortality", International Journal of Epidemiology, Vol. 29, pp.852-855. Iredale, R. and F. Guo (2000), "Theoretical explanation and policy framework for female labor migration in Asia: case study of the Philippines", Oriental Geographer, vol. 44, no.1. Pp.3-16. Yang, X. and F. Guo (1999), "Gender difference in determinants of temporary labor migration in China: A multilevel analysis", International Migration Review, vol. 33. No. 4. Pp. 929-953. Guo, F. (1999), Book review on Fate and Fortune in Rural China: Social organization and population behavior in Liaoning 1774-1873 (by J. Lee and C. Campbell), in Population Studies, vol. 53, no. 1, pp. 108-109. Yang, Q. and F. Guo (1996), "Occupational Attainments of Rural to Urban Temporary Economic Migration in China, 1985-1990", International Migration Review, vol. 30, no. 3. Guo, F. (1995), Book review on Migration and Urbanization in China (by Day, L. and Ma, X.) for China Review International, spring vol. pp 57-59, University of Hawaii Press, Honolulu, HI. Choe, M., F. Guo, Zhang, R., and Wu, J. (1992), "Progression to Second and Third Births in China: Patterns and Covariates in Six Provinces", International Family Planning Perspectives, vol. 18, no. 4, 1992, pp.130-136. Iredale, R. and F. Guo (2015) (ed.) Handbook on Chinese Migration, Identity and Wellbeing, Cheltenham UK: Edward Elgar Publishing. Zhao, Z. and F. Guo (ed.) (2007), Population in China at the Beginning of the 21st Century (ed.) Oxford University Press, U. K.
Iredale, R., F. Guo, and S. Rozario (ed.) (2003) Return Migration in the Asia Pacific, Edward Elgar Publishing, Cheltenham , U. K.
Iredale, R., Bilik, N. and Guo, F . (eds.) (2003) China 's Minority on the Move , M. E. Sharpe Inc. Armonk , New York. Iredale, R. Bilik, B. Wang, S. Guo, F. and Hoy, C. (2001), Contemporary minority migration, education and ethnicity in China, Edward Elgar Publishing, UK. Jiang, Zhou, Paul Gollan, Fei Guo, and Ying Wang (forthcoming) Special Issue: Vocational Experiences and Quality of Life of Migrants, Social Indicators Research. Guo, Fei, Graeme Hugo and Massimiliano Tani (2014) "The Globally Mobile Skilled Labour Force: Policy Challenges and Economic Opportunities", a special collection in International Migration, Vol. 52, no. 2. De Lombaerde, Philippe, Fei Guo and Helion Povoa Neto (2014) "South –South Migrations" a special collection in International Migration Review, Vol. 48, no. 1 (Spring 2014). Tani, Massimiliano, Fei Guo and Graeme Hugo (2010) (ed.) "New Developments in Australia's Skilled Migration Flows", a special issue in the Asian and Pacific Migration Journal, Vol. 19, no. 1. Guo, Fei and Robyn Iredale (2015) "Migration, identity and wellbeing in China: recent developments and new research", in Iredale, R. and F. Guo (ed.) Handbook on Chinese Migration, Identity and Wellbeing, Cheltenham UK: Edward Elgar Publishing. Huang, Yeqing and Fei Guo (2015) "Boundaries, exclusion and identity construction: experiences of rural-urban migrants in China", in Iredale, R and F. Guo (ed.) Handbook on Chinese Migration, Identity and Wellbeing, Cheltenham UK: Edward Elgar Publishing. Guo, Fei and Robyn Iredale (2015) "Current trends, emerging issues and future perspectives", in Iredale, R. and F. Guo (ed.) Handbook on Chinese Migration, Identity and Wellbeing, Cheltenham UK: Edward Elgar Publishing. Guo, Fei, Cheng, Zhiming, Hugo, Graeme, & Gao, Wenshu (2014). Wages and employment status of China?s migrant workers. In Reeves, Wang, Mark Y.; Kee, Pookong and Gao, Jia (Eds. ), Transforming Chinese cities (pp. 18). Abingdon, UK: Routledge. Guo, F. and Gao, W. (2008) What determines welfare and social security entitlements of rural migrants in Chinese cities? ", in I. Nelson and R. Smyth (ed.) Migration and Social Protection in China, New Jersey: World Scientific. Guo, F. (2007), "The impact of temporary migration on migrants and their communities" in Zhao and Guo (ed.) Population in China at the Beginning of the 21st century, Oxford University Press, U. K.
Iredale, R. and Guo, F. (2003) "Gendered migration in the Asia Pacific region: case studies of the Philippines, Indonesia and China" in R. Iredale, C. Hawksley & S. Castles (ed.) Migration in the Asia Pacific: Population, Settlement and Citizenship Issues. Edward Elgar Publishing, UK. Iredale, R., F. Guo and S. Rozario (2003), "Introduction", in Iredale, Guo and Rozario, eds. Return Migration in the Asia Pacific, pp1-25, Edward Elgar Publishing, Cheltenham, UK. Guo, F. and R. Iredale (2003), "The view from Australia", in Iredale, Guo and Rozario, eds. Return Migration in the Asia Pacific, pp26-46, Edward Elgar Publishing, Cheltenham, UK. Luo, K., F. Guo and P. Huang (2003), "China: Government policies and emerging trends of reversal of the brain drain", in Iredale, Guo and Rozario, eds. Return Migration in the Asia Pacific, pp 88-111, Edward Elgar Publishing, Cheltenham, UK. Iredale, R. N. Bilik and F. Guo (2003), "Overview of minority migration", in Iredale, Bilik and Guo eds. China's Minorities on the Move, pp-3-31, M. E. Sharpe, Armonk, New York, US. Choe, M. Zhang, R. Wu, J and Guo, F. (1996), "The pace of family building in Modern China", in China: the Many Facets of Demographic Changes, edited by Alice Goldstein and Wang Feng, Westview Press. Guo, F. and Zhang, Z. (2004), "Rural migrants and shantytown communities in Chinese cities", Proceedings of the 16th Annual Conference of the Association for Chinese Economics Studies Australia (ACESA). Guo, F. and Iredale, R. (2003), "Unemployment among the migrant population in Chinese cities: the case study of Beijing, in Coate, B., R. Brooks, I. Fraser and L. Xu (ed.) Proceedings of the 15 th Annual Conference of the Association for Chinese Economic Studies Australia (ACESA), Melbourne: RMIT Business Research Development Unit. Guo, F. (1991), "The Trends of Marital Fertility, Second and Third Birth in China, 1966-1987", in Fertility in China: Proceeding of the International Seminar on China's In-depth Fertility Survey, pp 205-222, 1991, Voorburg, The Netherlands. Fei has been a member of Bachelor of Social Sciences (BSocSc) committee of Macquarie University since 2005 and was a member of a number of other committees/panels, including the faculty research committee (2007), Postgraduate research grant review panel (2008) and an elected staff member on the Faculty Executive Committee (2009), and currently a member on the Faculty Academic Board. Since 2006 Fei has been an assessor for the Australian Research Council (ARC) assessing research grant applications for ARC DP, ARC Linkage, and Future Fellowship schemes. Fei is currently an Associate Editor of International Migration Review, a New York-based academic journal published by the Center for Migration Studies. 2017 – PhD Supervision – Principal. [Guogui Huang], commencing Oct 2017. F/T, PHD; MKMT – Thesis title “Caring for China’s Elderly Population: Realities, Challenges and Future Prospects”. 2017 – PhD Supervision – Associate. [Seung-Jung Yang], commencing Feb 2017. F/T, PHD: MKMT. 2017 - PhD Supervision - Principal. [Xianling Zhang], commencing Feb, 2014. F/T, PHD; MKMT– Thesis title "Impact of Population Ageing on China's Economy: Savings, Consumption and Labour Force"
2017 – PhD Supervision - Principal. [Sisi Yang], commencing Oct 2014. F/T, PHD: MKMT – Thesis title "Settlement Intentions of Migrant Workers in Chinese Cities"
2014 - PhD Supervision - Principal. [Haining Wang], Jun 21, 2011 - Jan 04, 2014. PHD; MKMT– Thesis title "Migration and Discrimination in China's Urban Labour Market"
2014 – PhD Supervision – Associate. [Christine Brickenstein], Jul 2010– Jan 2014. PHD: LAW – Thesis title "Foreign Seasonal Workers in Agriculture: A Comparison of Regulations and Practices in the Pacific and in Europe". 2013 – Honours Supervision – Principal. [Laurence Redaelli], Feb 2013 to Dec 2013. HONOURS: MKMT– Thesis title "Exploring Ethnic Entrepreneurship: A study of Vietnamese and Lebanese Enclaves in the Greater Sydney Area". 2011 - PhD Supervision - Principal. [Yeqing Huang], Jul 26, 2007 - Aug 07, 2011. PHD; BUS – Thesis title "Social exclusion of rural-urban migrants in transitional China"
2011 - PhD Supervision - Principal. [Junhua Chen], Jul 26, 2007 - Aug 07, 2011. PHD; BUS – Thesis title "Migration, urbanization and the dual labour market: Analysis of dynamics and constraints of Chinese urban housing growth"
2010 – PhD Supervision – Associate. [Zhiming Cheng], Jul 2007 Â– Aug 2010. PHD: ECO – Thesis title "Urban Poverty among Laid-Off Workers in the Chinese State Enterprise Reform". 2012 onward Associate Professor, Department of Marketing and Management, Macquarie University. 2005 2012, Senior Lecturer in Demography, Department of Marketing and Management, Macquarie University. 2002 2005 Lecturer in Demography, Department of Business, Macquarie University. 1999 2001 Research Fellow, the Centre for Asia Pacific Social Transformation Studies (CAPSTRANS), University of Wollongong. 1997 1999 Andrew W. Mellon Post-doctoral Fellow, Demography Program, Australian National University. 1996 Lecturer, Department of Sociology, University of Hawaii. 1995 Pre-doctoral Fellow, Population Council, New York. Last Updated: 2018-03-15 10:24:49 by Ms Yang Yang.